It was a great weekend full of lots of activity and great church services. Odie finished up the week at PFYC and she loved it! She gave a full report with lots of pictures in her Saturday post and I think you will enjoy it. I drove down for the Friday morning service and I enjoyed it as well. Pastor Israel Sanders preached great on "Sold Out To Giving" and it was a tremendous message. It was also wonderful to see a bunch of friends from across the country. I arrived about 2 hours before service so I could fellowship. I probably visited with at least 100 people before church and waved at a few hundred more. I loved being part of God's big family! I mentioned in last Monday's Weekend Woundup and Weview that it was an unusual weekend since we did not travel between revivals. I think I more than made up for that lack of travel over the course of two weeks in London. I made a 260 mile loop to take the BoggsMobile to Vonore, a 400 mile loop to go home for the building permit and a 260 mile loop to PFYC and back! The revival Friday night at Liberty Pentecostal Tabernacle ended with a bang. God moved among the people during the preaching and altar service in a powerful and sweet way. 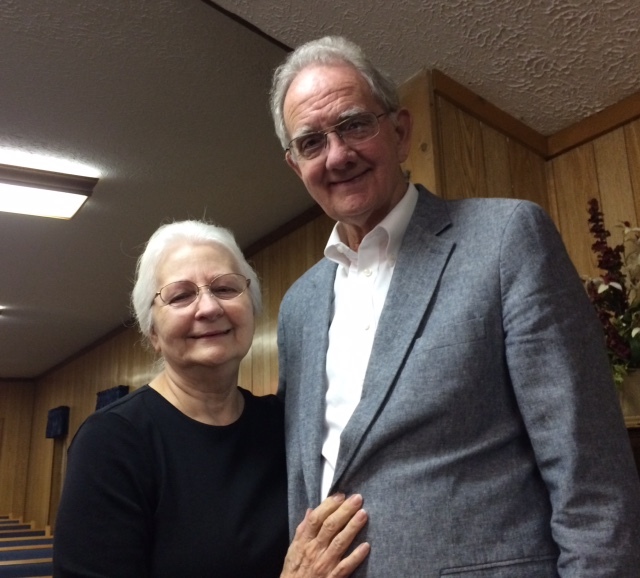 Pastor Lester Carpenter and his folks treated us so well and we appreciate their hospitality and kindness. Saturday morning we went by the church and picked up the sound equipment and headed toward Tennessee. As we pointed south, we waved goodbye to all of our friends and two great weeks of revival, one at First Pentecostal and one at Liberty Pentecostal Tabernacle. We met Odie and her ride along I-75 on the north side of Knoxville and then we finished the drive to East Tennessee Luxury Coach in Vonore, Tennessee. It was very good to see the BoggsMobile again and wonderful to climb back into our own bed! It is only about 34 miles from the BoggsMobile to Beechfork Holiness Church as a crow bar flies. I know it is supposed to be "as a crow flies" but we like to say as a crow bar flies around our house. We like to picture the crow bar flying in a straight line between two points. So it is only 34 miles as a crow bar flies but is about 65 miles as the Green Machine flies. We can make really good time on Sunday morning with no traffic, about 75 minutes, but it takes us considerably longer in the evening. We decided to spend the day over there rather than drive back and forth all day. We had a great response in the altar Sunday morning and Sunday night. It is great to be back with our dear friends. We have know Pastor Herman and Sis. Margaret Woods for nearly 32 years and we have been coming to Beechfork for nearly 29 years. We rolled back into Vonore about 11:00 PM. That wraps up our weekend. I hope that you had a great weekend as well. Thank you for reading!